Here’s to the strong, silent type. The 2016 Malibu Limited embodies just that in its smooth performance and handling. Four-wheel antilock disc brakes help ensure reliable stopping performance, while the tuned suspension provides responsive handling. Paired with a quiet cabin, for a premium ride. 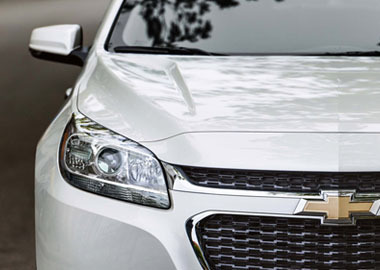 With the 2.5L 4-cylinder engine, Malibu Limited offers an EPA-estimated 34 MPG highway. Advanced fuel-saving technologies include Direct Injection and Variable Valve Timing to provide the full output capability for the engine. The ECOTEC® 2.5L DOHC 4-cylinder engine with Continuously Variable Valve Timing adjusts airflow in and out of the combustion chamber for optimal fuel economy. This technology provides a greater feeling of power at lower speeds while still delivering 197 horsepower. Refined and efficient, the 2.5L 4-cylinder engine is designed to help you save gas, thanks to stop/start technology. The engine can automatically shut off when the car is stopped. When the brake is released, the engine restarts seamlessly. So smooth, you’ll barely notice the transition. 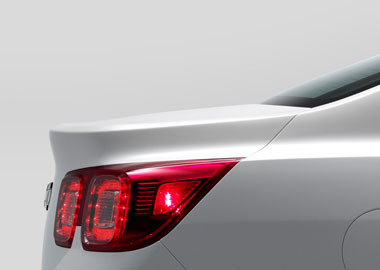 Malibu Limited offers sleek, aerodynamic design cues for a powerful presence. Aerodynamic details guide airflow seamlessly around the vehicle body to help decrease resistance. 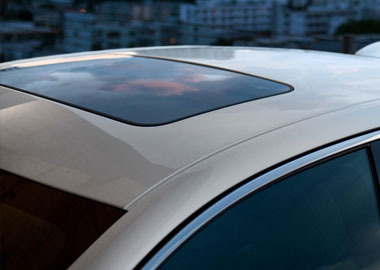 Malibu LTZ shown in Iridescent Pearl Tricoat with available sunroof. With the latest available mobile technology including advanced navigation and entertainment features, Malibu keeps you connected to the important things in your life no matter how far the road takes you. The only thing you have to think about is where you want to go next. Available built-in 4G LTE Wi-Fi® turns your Malibu into the ultimate mobile hotspot for up to seven devices. So you and your passengers can seamlessly connect smartphones. Available Chevrolet MyLink, featuring voice pass-through, allows you to be seamlessly integrated through your mobile device. Connect a flash drive or MP3 player through the USB port or use voice commands to access Pandora® Internet Radio. Even listen to commercial-free programs through the three-month trial of SiriusXM Satellite Radio. Malibu proves that the beauty of purposeful design is more than skin-deep. Ultra-high-strength steel is used throughout for a structure designed to be exceptionally strong and rigid. Malibu provides 10 air bags including knee air bags for the driver and front passenger.